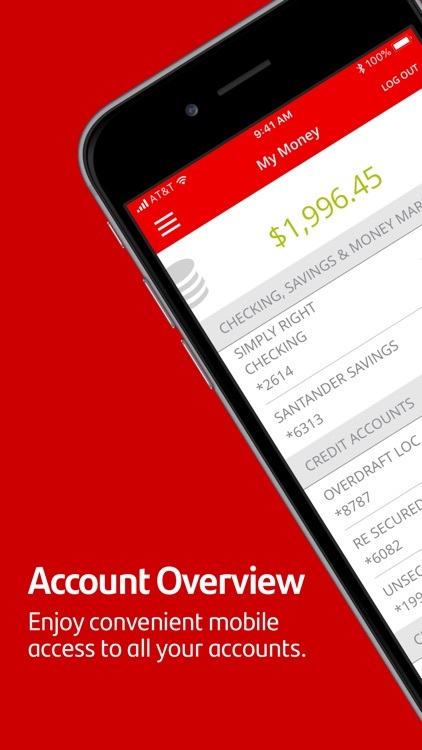 • Self-enroll directly from the Santander Mobile Banking App. • Manage cards services, including debit and credit card activation, lost/stolen card reporting, and replacement requests. 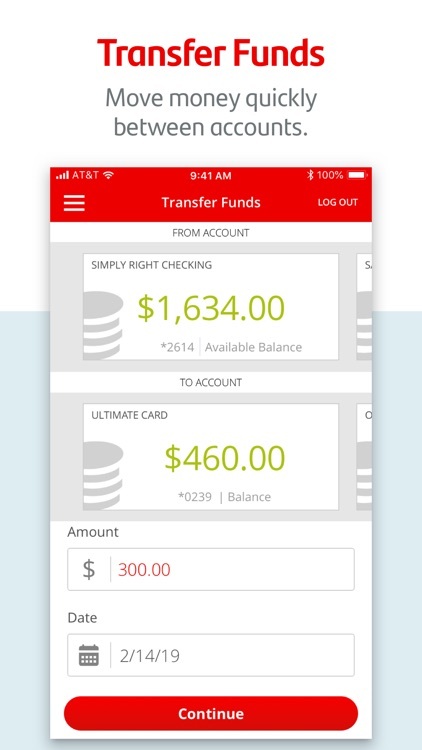 • View balances with one touch before logging in with Quick Balance. 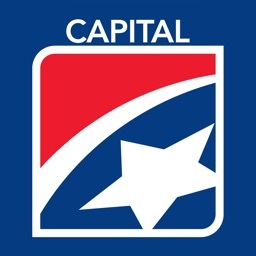 • View deposit and credit card statements and loan/line of credit and investment account balances. 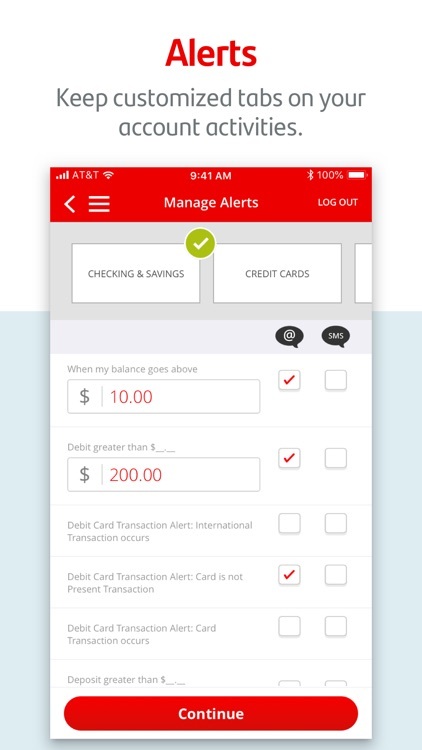 • Manage alerts – select and customize the alerts you want to receive, refine alert settings, and choose your delivery method via text, email, or both. • Manage account statement preferences to paper or paperless. • Manage contact details – edit, add, or delete contact information any time. 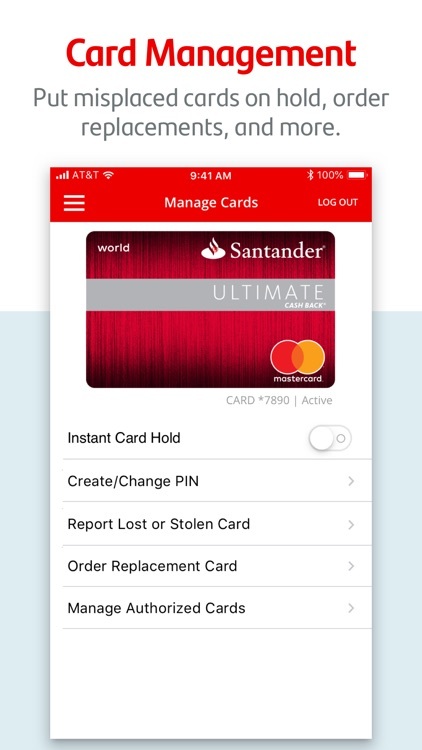 • Put your misplaced debit or credit card on hold with Santander® Instant Card Hold. 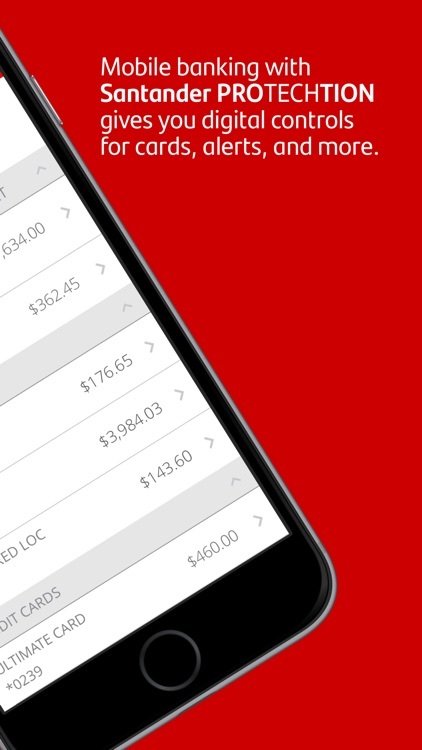 Instant Card Hold will block most types of transactions, including purchases made with your card. • Change or reset your Password securely from your mobile device using password reset. • Verify your identity requests using One-Time Passcode (OTP) security. • Touch ID® – log in with just your fingerprint when using iPhone 5s or above, or use Face ID® with iPhone X. • Create and use a unique 5-Digit PIN as an alternative method of authentication to log in to mobile banking securely. 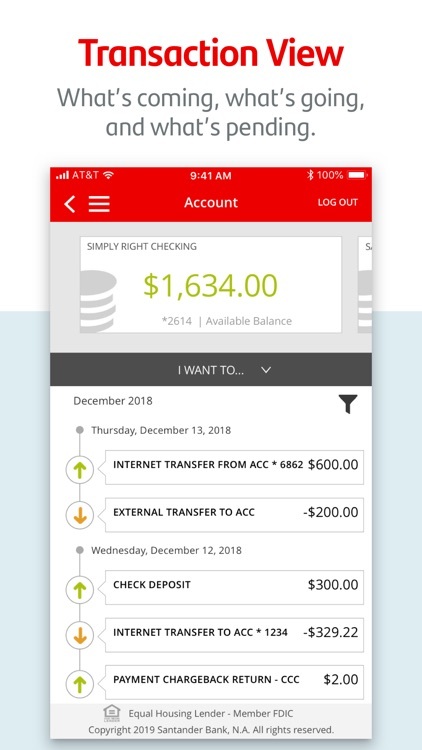 • Helpful Tips will guide you through the new/enhanced Mobile Banking features when you first log in to the mobile banking app. • 3D-Touch integration for faster navigation. By touching the app icon you will see a quick list of features that will navigate you to the screen once you log in. • An optimized experience for iPhone X users. 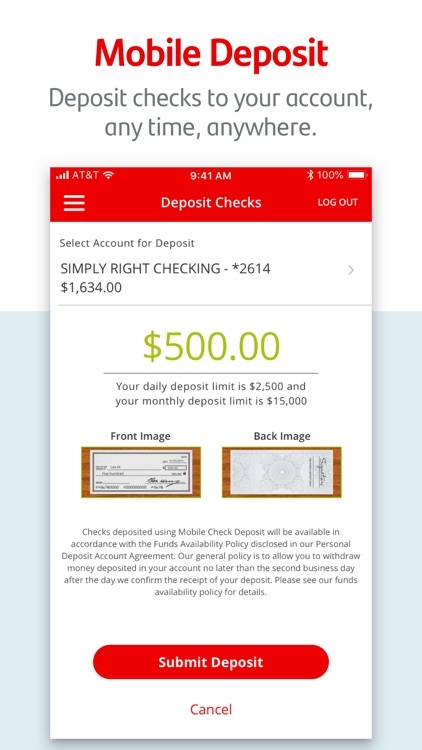 •Deposit your check through the app using your camera in 5 easy steps! 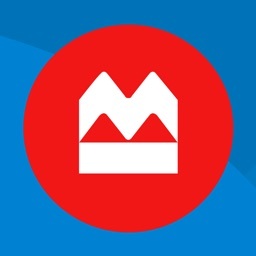 Mobile deposits are subject to limits and other restrictions. Please refer to the Digital Banking Agreement (formerly known as the Online Banking Agreement) for details. 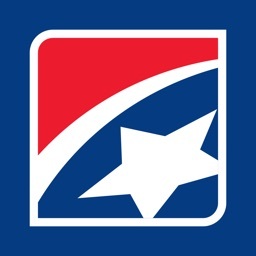 • Select Bill Pay recipients to easily make payments. • The ability to schedule payments for future dates. • Set up recurring payments eBill payments. • Between your Santander accounts. 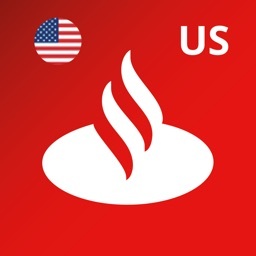 • To other Santander customers. 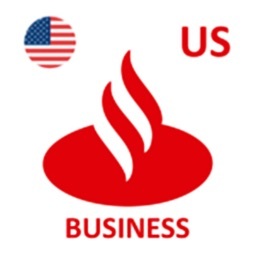 • To accounts at other banks in the United States. Restrictions apply. 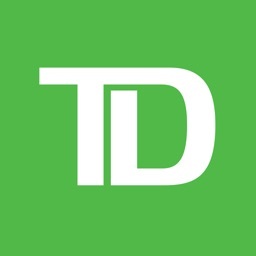 Please refer to the Digital Banking Agreement (formerly known as the Online Banking Agreement) for details. 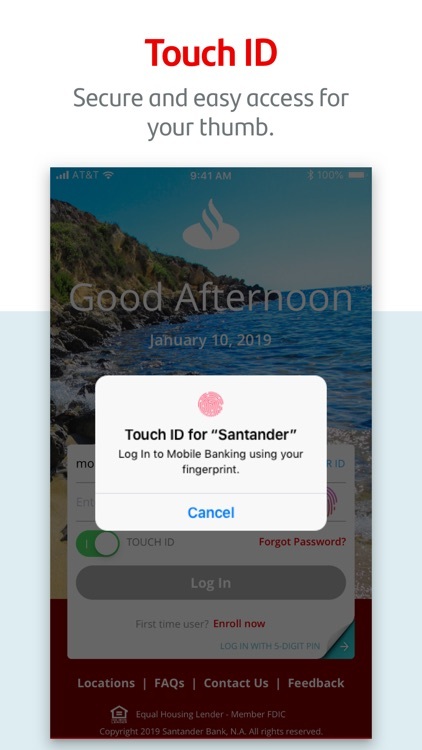 • One-touch calling to Santander Customer Service. • Directions to the nearest Santander branch or ATM. Get started today; it’s easy! ©2019 Santander Bank, N.A. All rights reserved.